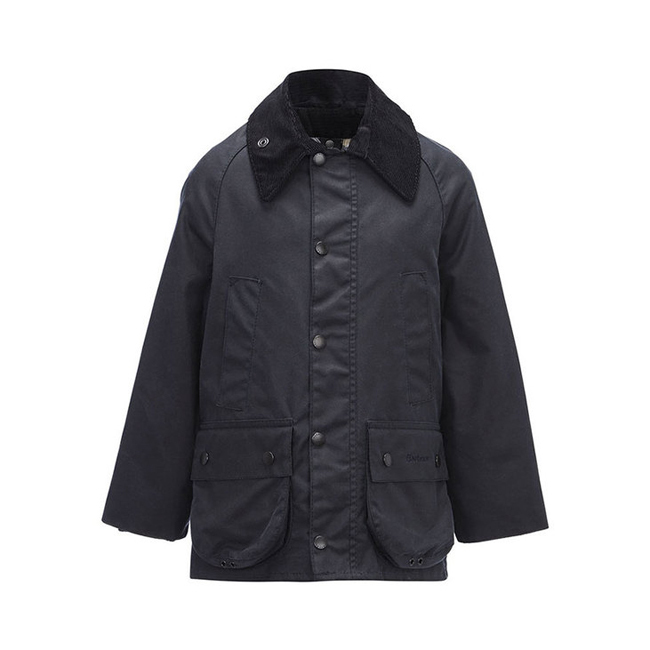 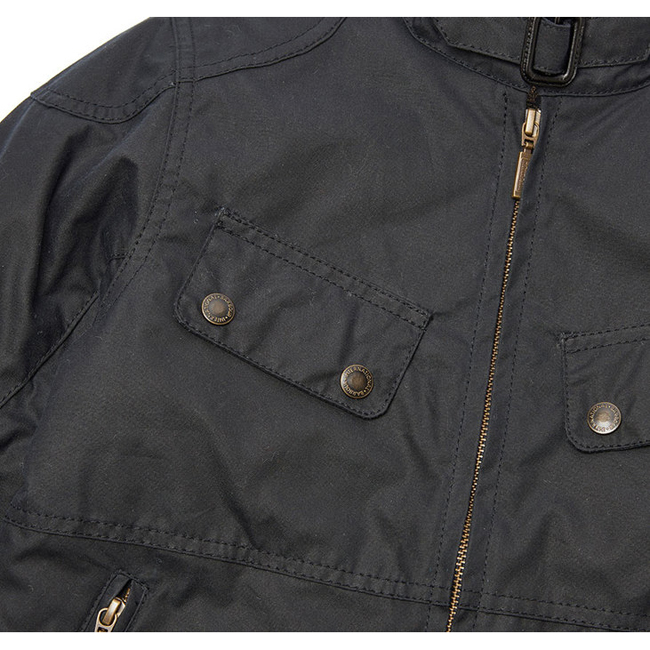 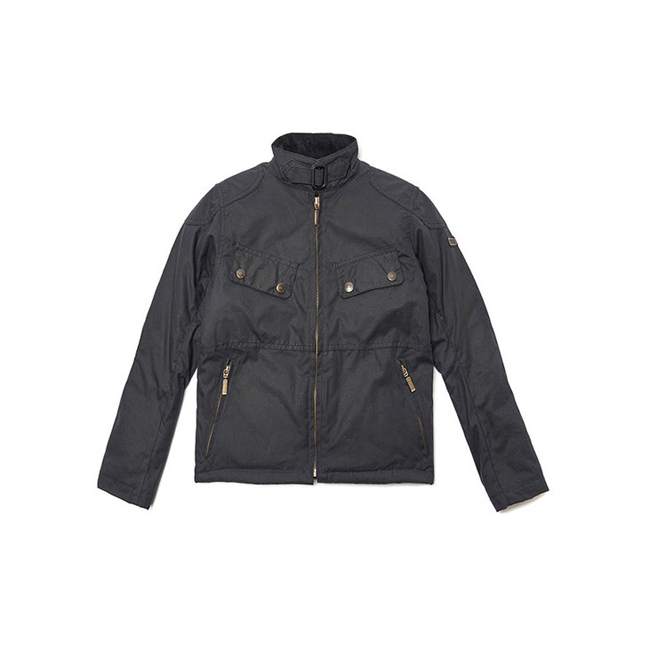 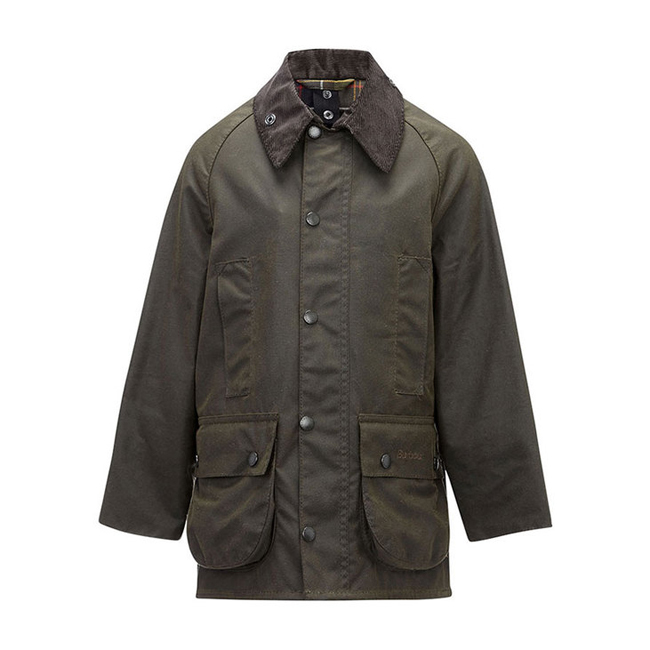 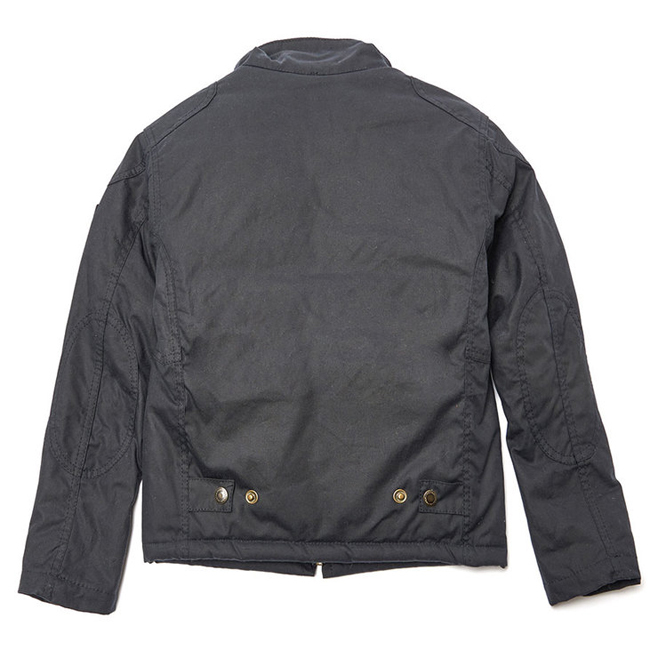 This waxed cotton boys' jacket features Barbour International's signature four outer pockets, shoulder and elbow patches and a collar strap. 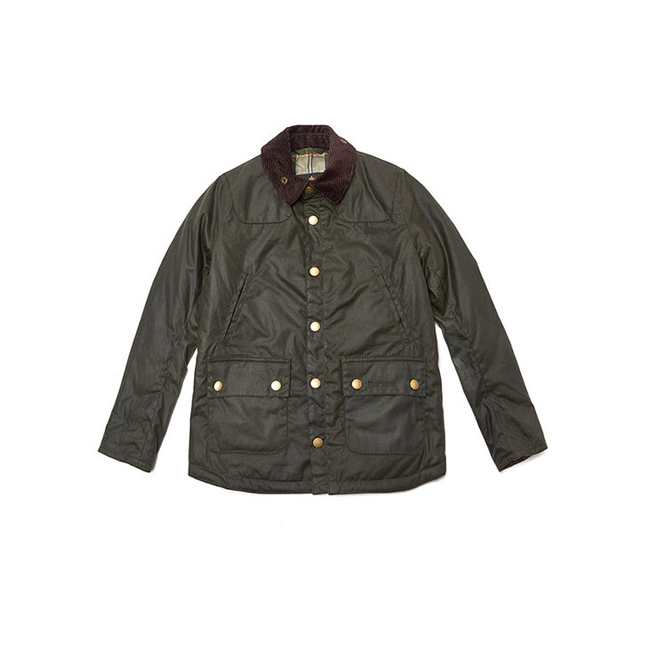 Stud adjusters at the back allow the fit to be adjusted, and a baffle-quilted lining makes this an all-round winner for winter. 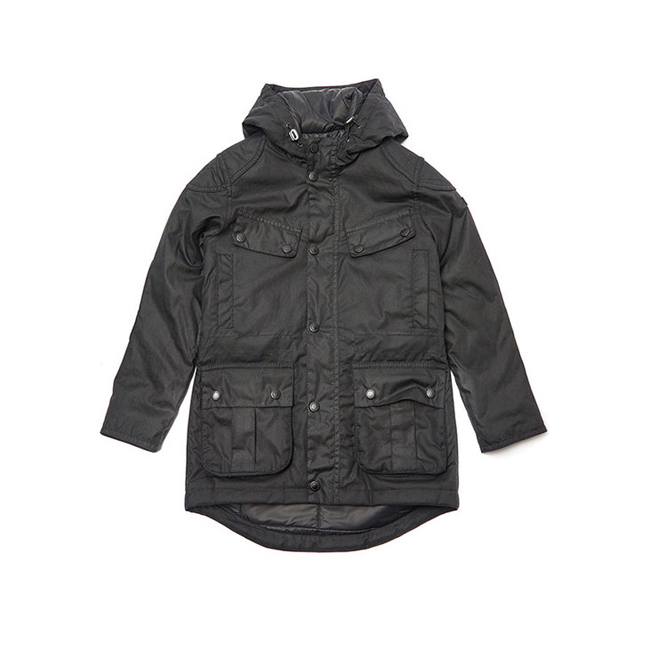 Fit slightly small but it worked out well.